Our syringe and barrel stands allow for the upright storage for all size syringes and barrels. Holds filled barrels upright in a tidy position on the work bench. Metal or plastic frames, robust and easy to clean. 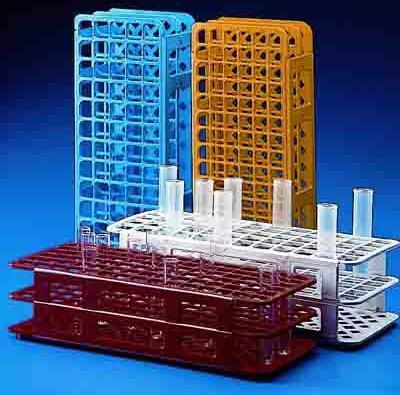 A selection of racks for the full range of syringes and barrels. Useful accessories for any dispensing station. SYR19B - Blue Metal Universal Rack. 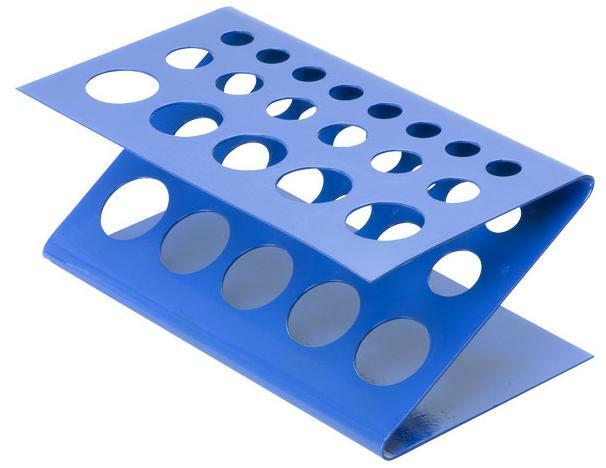 Small design blue syringe barrel rack stand (as above) for use with 3cc, 5cc, 10cc, 30cc and 55cc size barrels. Barrel is placed inside for a clean and organised work bench. Prevents barrels being laid on bench top and eliminates mess. Easy to clean metal gloss finish. Holds 5 x 30cc or 55cc barrels, 6 x 5cc and 10cc barrels and 8 x 3cc barrels. .
A larger syringe barrel rack made from high density polypropylene that will accept barrel sizes 3cc, 5cc, 10cc, 30cc and 55cc. Lightweight and easy to clean. All syringe holders will keep the work area clean and ensure barrels are kept upright. Statements, technical information and recommendations contained herein are based on tests we believe to be reliable but they are not to be construed in any manner as warrantees expressed or implied. The user shall determine the suitability of the product for their intended use and the user assumes all risk and liability whatsoever in connection therewith. All product information, design, images, links and datasheets contained within this website are the property of Adhesive Dispensing Ltd.